Searching for something extraordinary to gratify your thirst of art? Or for artworks that would gracefully decorate your office or home? Or do you wish to amaze your family and friends with a beautiful artwork? Or maybe gift your beloved a lasting memento to be cherished forever? Then you need not search further. Trot in to Superchrome, UK’s popular digital printing company that can supply the most enchanting giclee fine art prints on canvas. For years Superchrome has been providing commendable services to numerous galleries, museums, offices, artists, photographers and other individuals at relatively low rates. 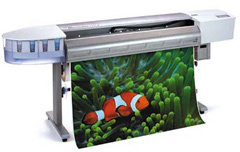 We are experts in small to large format giclee fine art printing. Once we receive the original artwork we immediately perform scanning, correction and proofing. In order to increase the durability of giclee fine art prints on canvas, they are coated with a layer of anti-fading UV protection with clear satin glaze, so that they become lightfast and UV resistant. The canvas is also laminated to make it waterproof. The use of highest quality pigmented archival inks offer lifelong property to the giclee prints. We can offer exact reproductions of the original artwork, capturing the innate beauty of the original including the similar vibrant and sharp color and texture. Our giclee fine art prints on canvas are tougher, durable and deliver the most natural texture as compared to paper prints. In addition, we will stretch your giclee canvas prints onto various frames for mounting to any size as per client specifications. Our esteemed clients can avail of the facility to select their favorite giclee fine art prints on canvas from our online gallery. Our prints are delivered bubble wrapped if stretched and sent by Royal Mail. Contact us for quotes. We assure a fast turn over time of just two to three days. Our high quality canvas photograph prints are very competitively priced. If you would like to know more about giclee fine art prints on canvas, any of the projects shown or if you want to discuss any project you have coming up then contact us 020 7237 9333 or fax 020 7237 9444 or email sales@superchrome.co.uk. Our experienced personnel would be able to guide you appropriately.